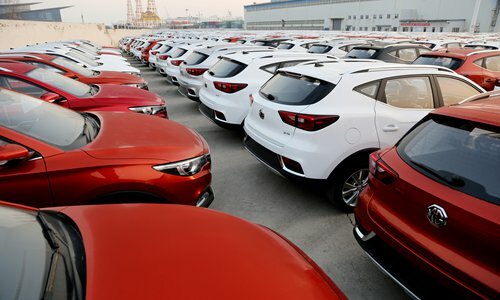 China has introduced the negative-list approach for services trade and investment talks for the first time in its latest free trade agreement (FTA) negotiations with South Korea, marking the country’s full embrace of higher-level opening-up, analysts said. The fourth round of the second phase of the China-Korea FTA talks was held in Beijing on Friday to discuss services trade and bilateral investment, aiming to achieve steady progress and create a more favorable environment for companies from both countries, according to a statement from China’s Ministry of Commerce (MOFCOM) on Tuesday. It is the first time that the negative-list approach has been used in China’s FTA talks with other countries focused on services trade and investment, said the ministry. 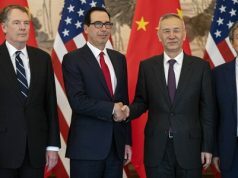 “Similar to the negative-list mechanism that we’ve used for foreign investment, this one is being applied in FTA negotiations, meaning all the areas not on the list will enjoy free trade, which marks a step forward for China’s further opening-up and connecting with international standards,” said Tu Xinquan, a professor at the University of International Business and Economics. “Developed countries usually adopt negative lists during FTA talks,” he added. Tu told the Global Times on Wednesday that what will be on the list still requires bilateral discussion. 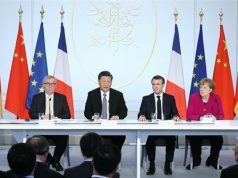 “It is big progress for China to do this as the new foreign investment law has mandated the spread of the negative-list approach to broader areas in the country,” said Tu, adding the move will point out new directions and play a model role for China’s free trade progress with other countries. The foreign investment law, passed by China’s top legislature in March, will come into effect on January 1, 2020. Over the past few years, China has beefed up efforts to promote global trade by using FTAs to diversify markets and counter protectionism, especially amid the China-US trade spat. So far, China has signed 17 FTAs with 25 countries and regions. Separately, China and Norway completed their latest round of FTA negotiations in Beijing from March 25 to 28, and progress was made involving more than 10 topics such as commodity and services trade and intellectual property, according to the MOFCOM. “Compared with FTAs with other countries, China’s FTA with South Korea has higher standards,” said Tu. The China-South Korea FTA took effect in December 2015, and kicked off its second-phase talks in December 2017. The first phase was mainly focused on commodity trade while the second phase covered services trade. 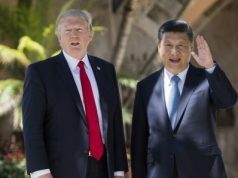 The two countries have reduced tariffs four times since 2015, with about 50 percent of bilateral trade having no tariffs, according to the Xinhua News Agency. China is South Korea’s largest trading partner, export market and import source country, while South Korea is China’s third-largest trading partner. South Korean exports to China reached a fresh high of $162.24 billion last year, up 14.2 percent from the previous year, said Xinhua. To buffer the impacts of the China-US trade war, China’s trade with its neighbors including Japan and South Korea is warming up, Lü Chao, a research fellow at the Liaoning Academy of Social Sciences, told the Global Times on Wednesday. “In such a context, China and South Korea have the best moment to repair their trade since the US Terminal High Altitude Area Defense (THAAD) issue in February 2017, and a new boom is highly likely to come,” Lü said. South Korea enjoyed a trade surplus with China for a long time. The second round of FTA talks could bring the trade relations of the two countries to a new level, said Lü. “Services trade is a key area for the two countries,” he added. South Korea is attracted to China’s vast market, while China could learn management experience from South Korea. Further progress in the second round talks would be very significant, Lü said.